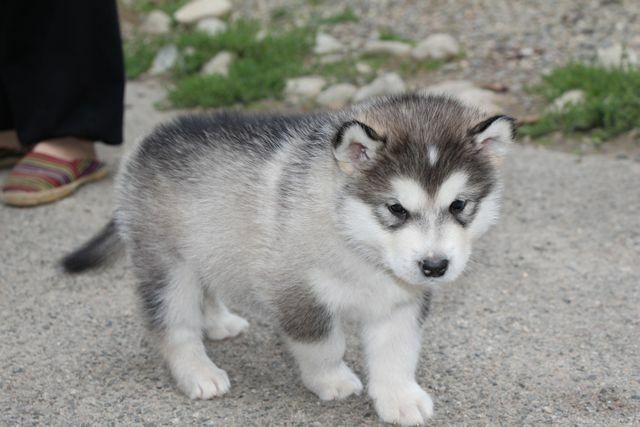 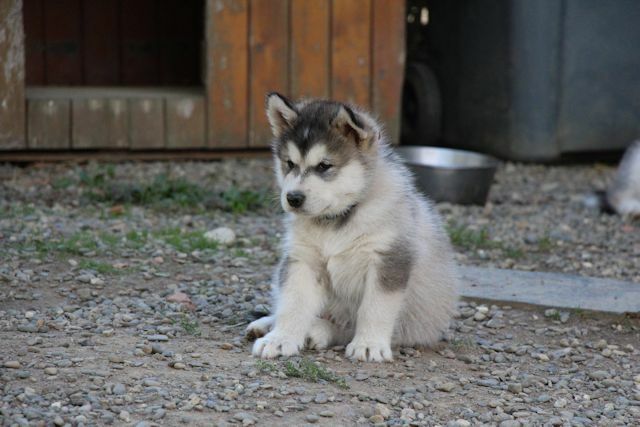 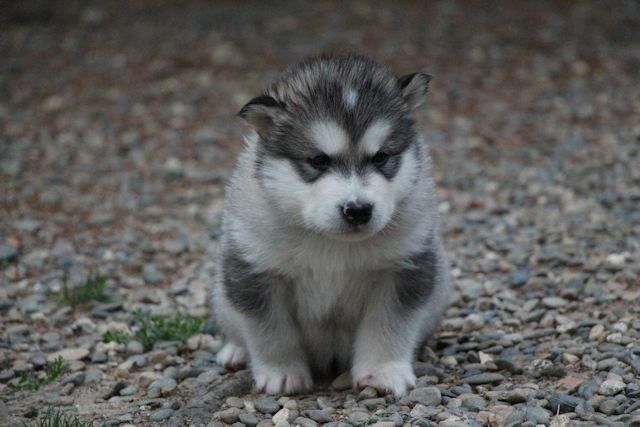 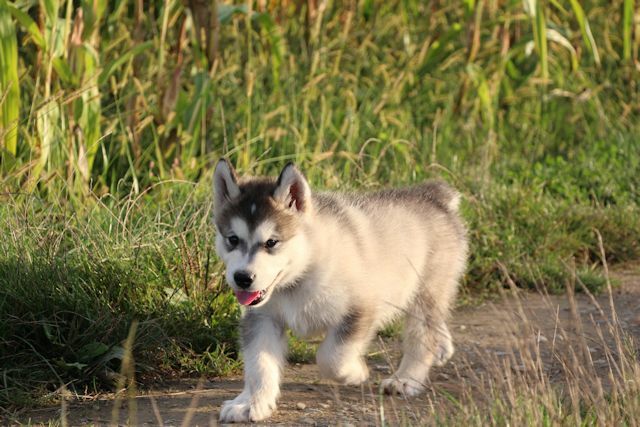 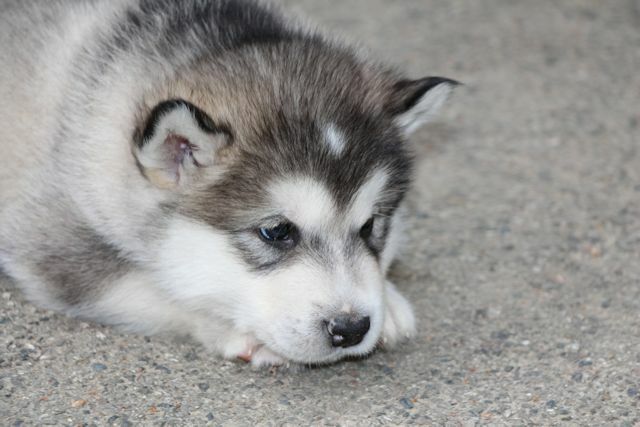 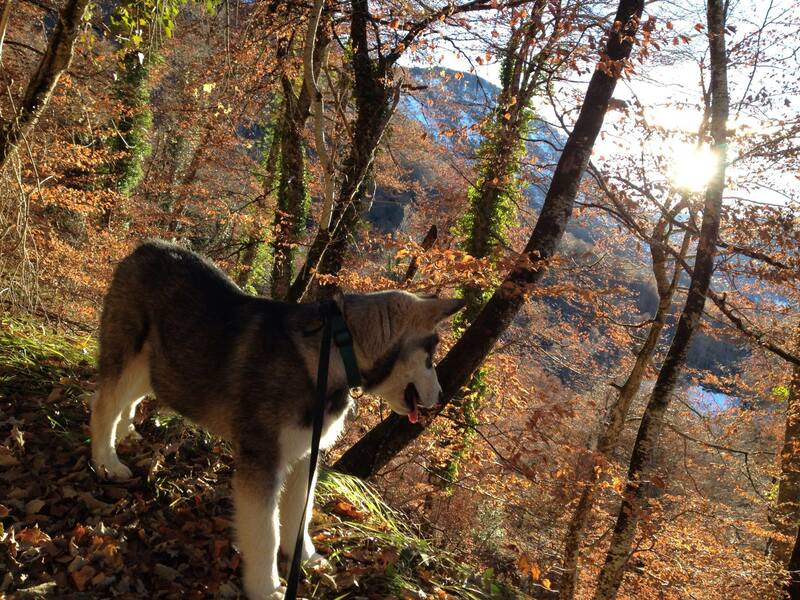 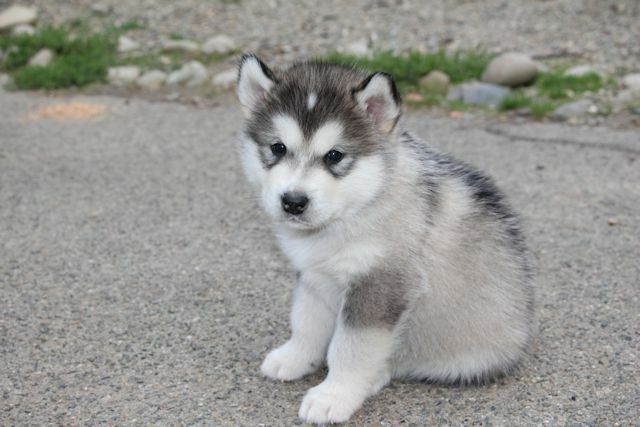 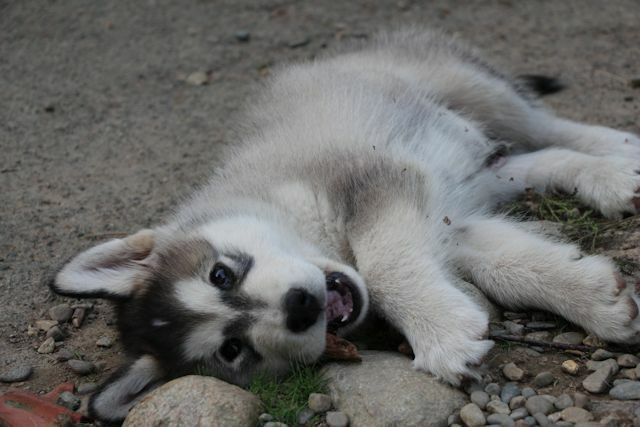 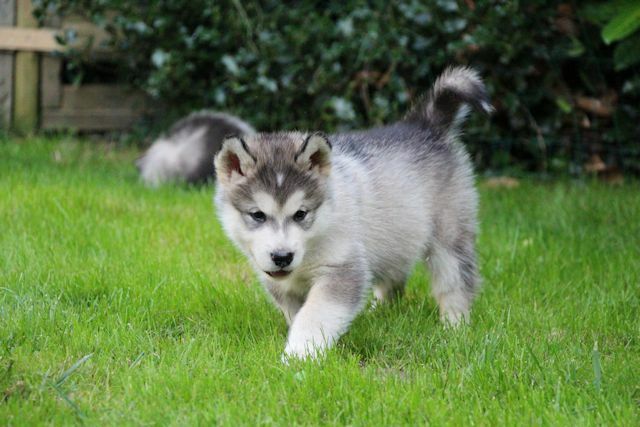 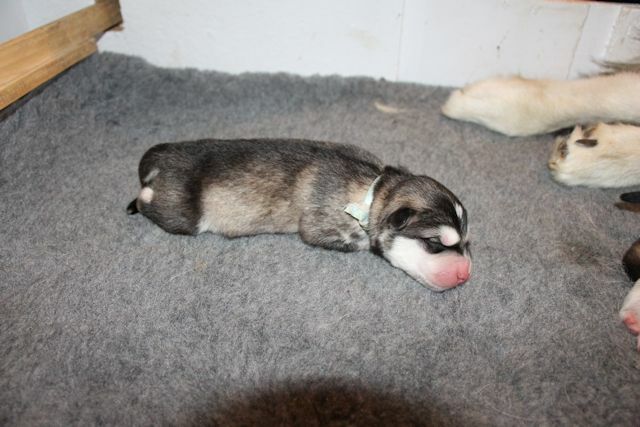 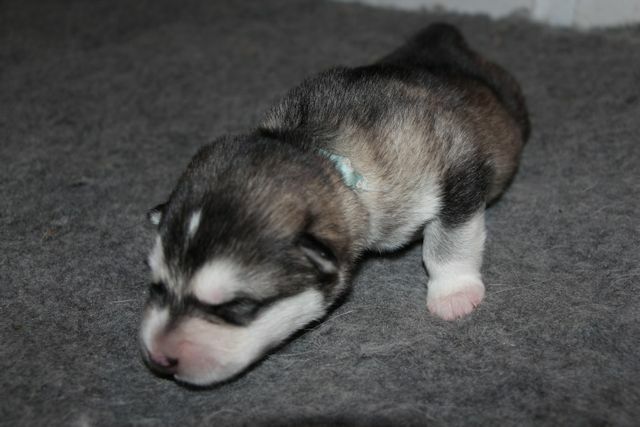 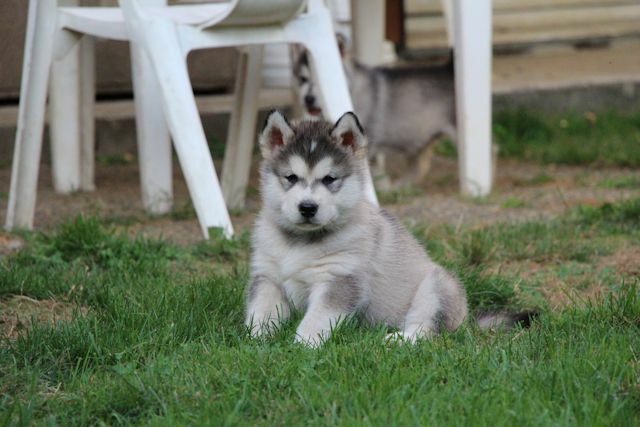 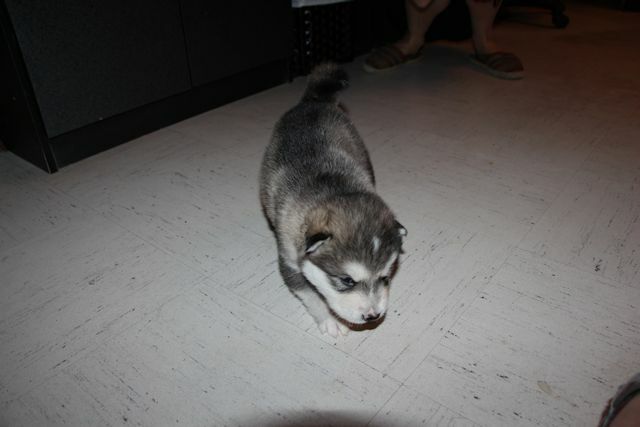 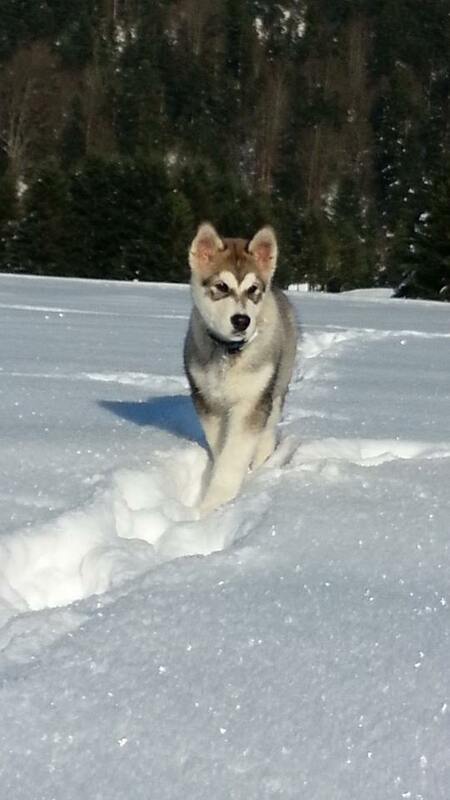 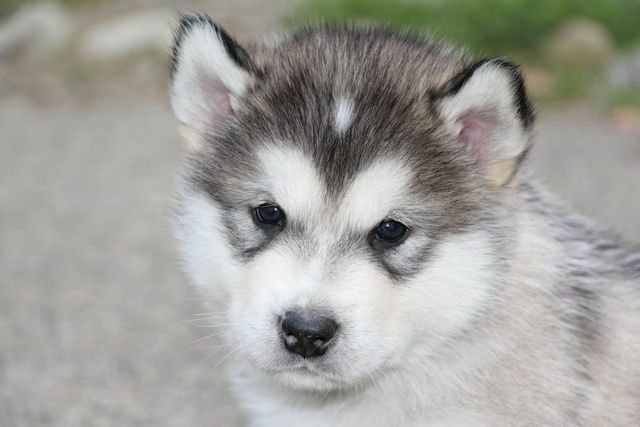 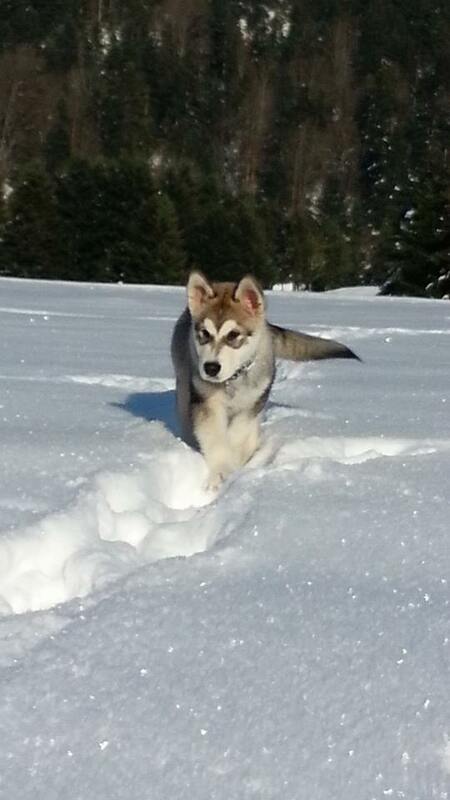 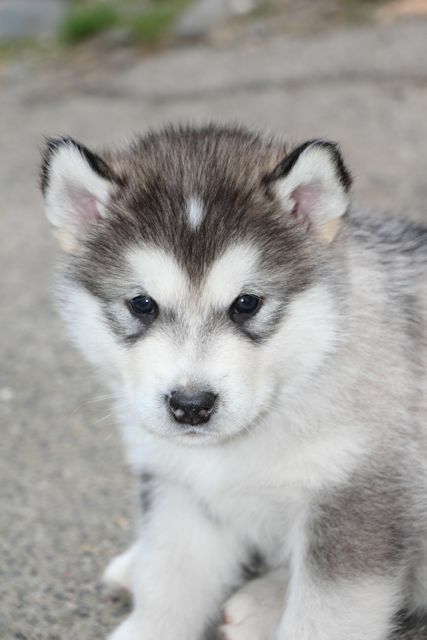 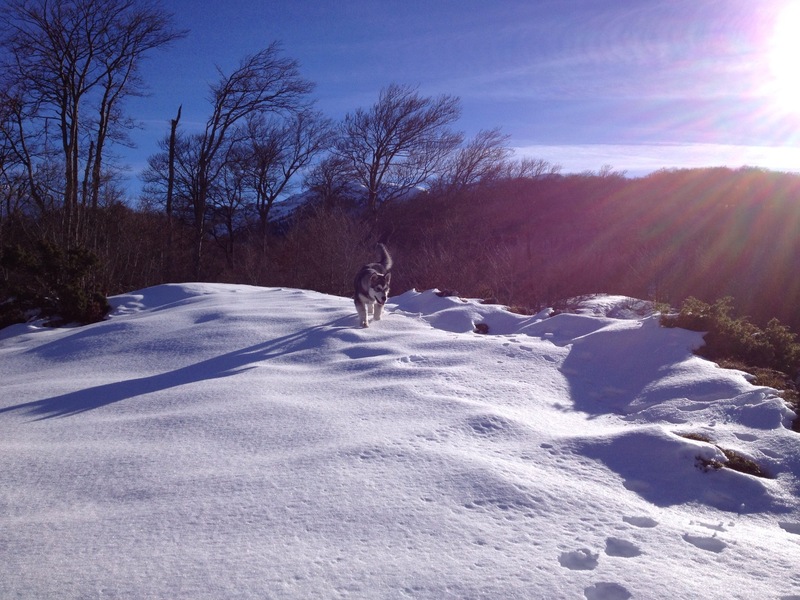 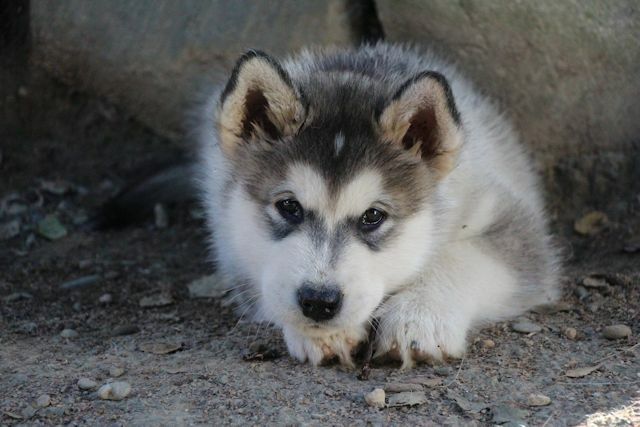 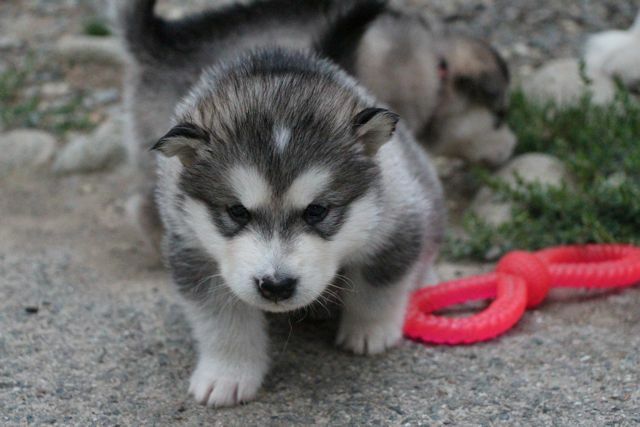 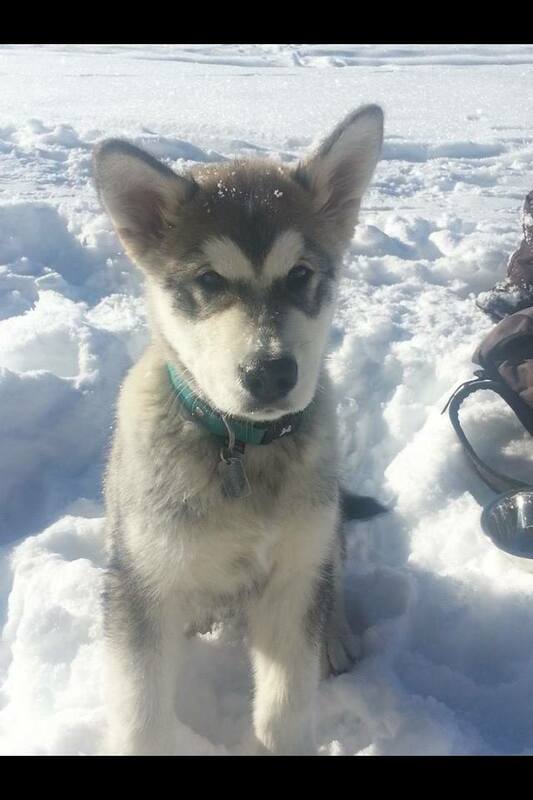 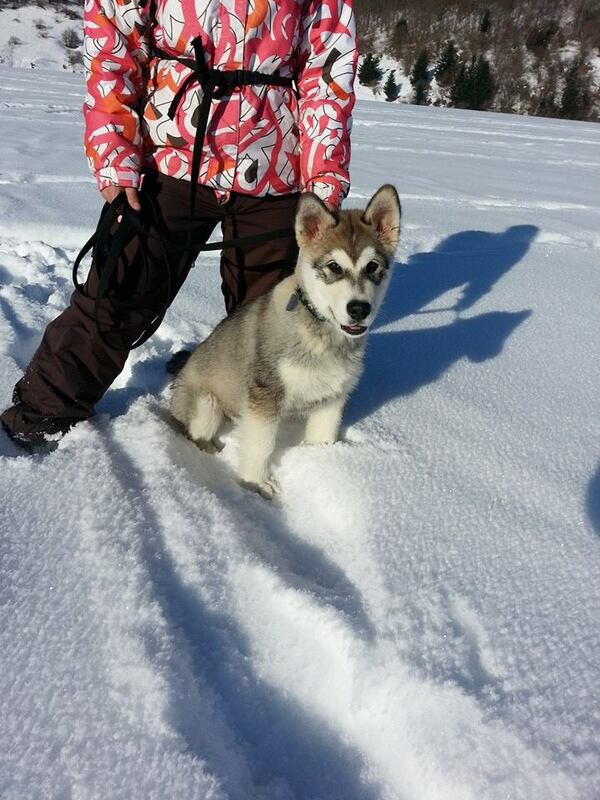 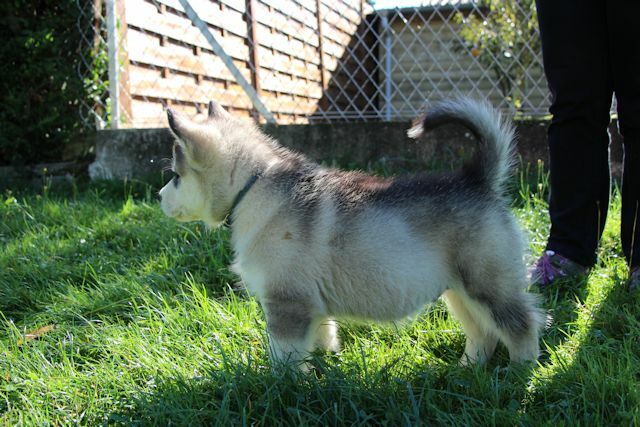 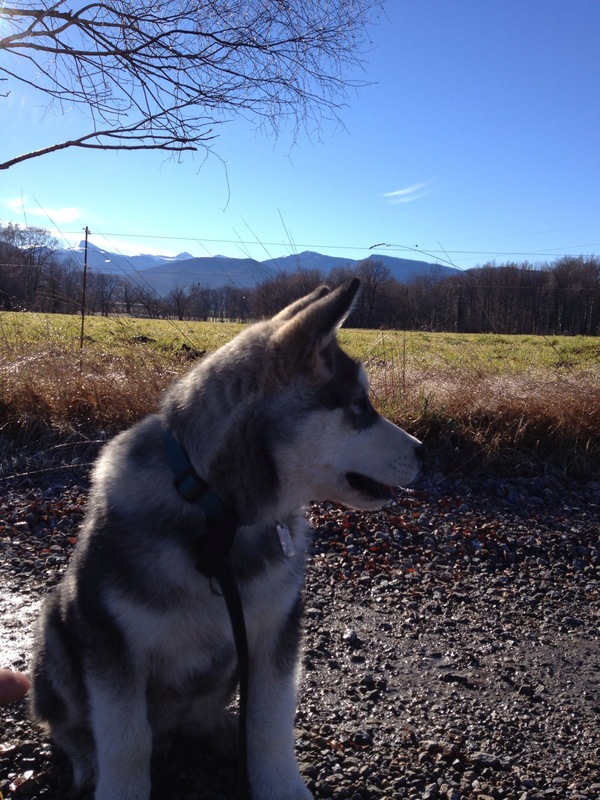 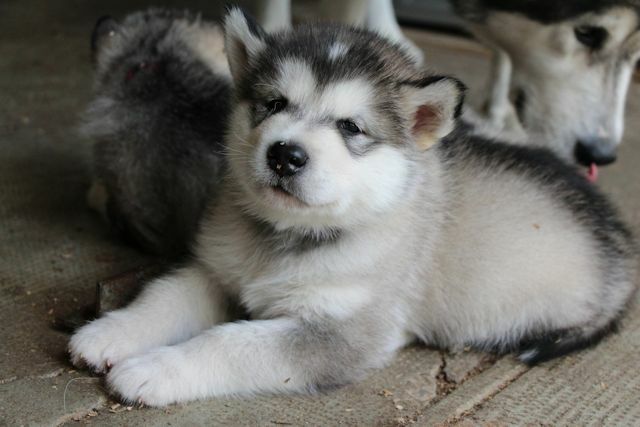 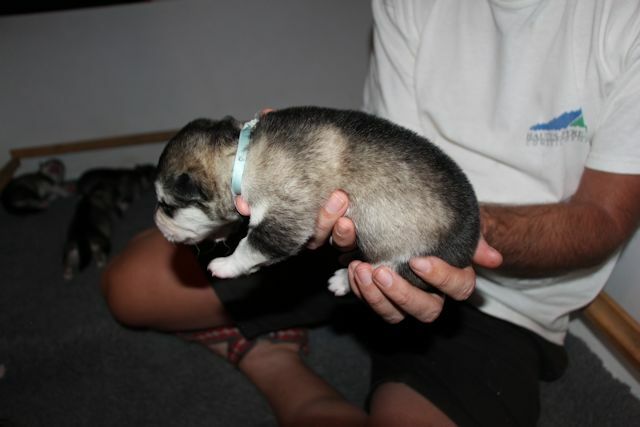 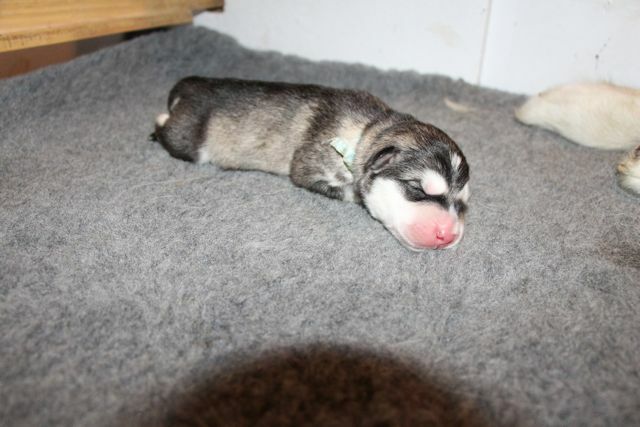 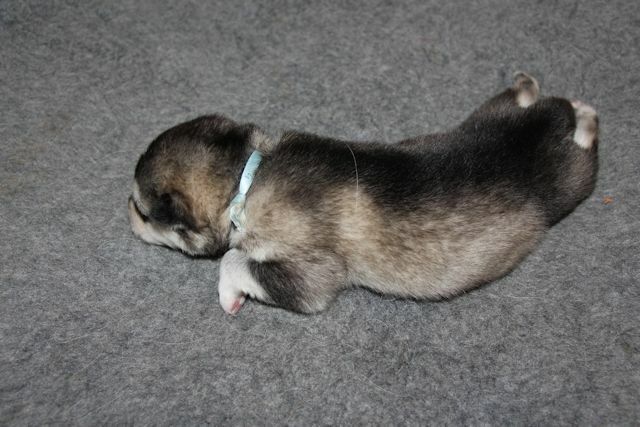 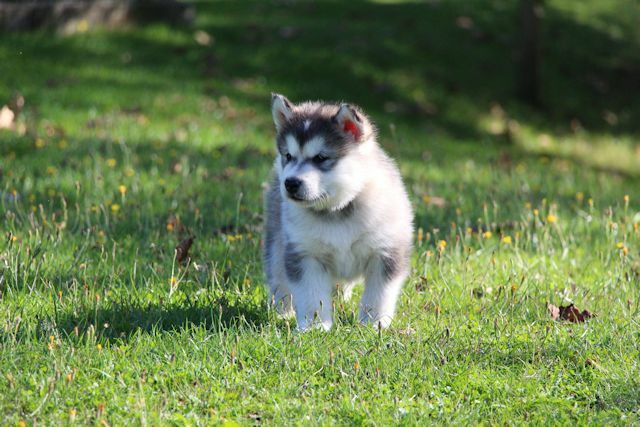 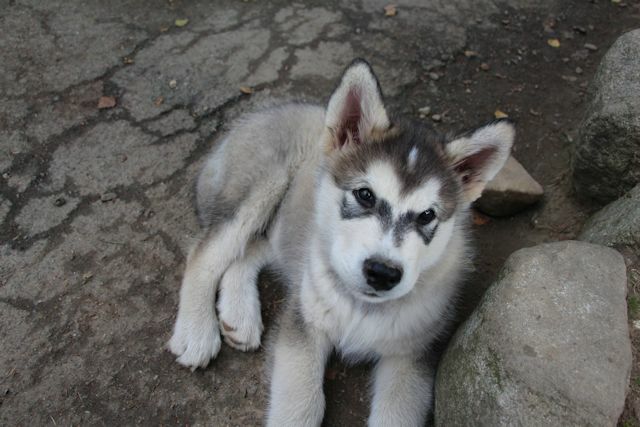 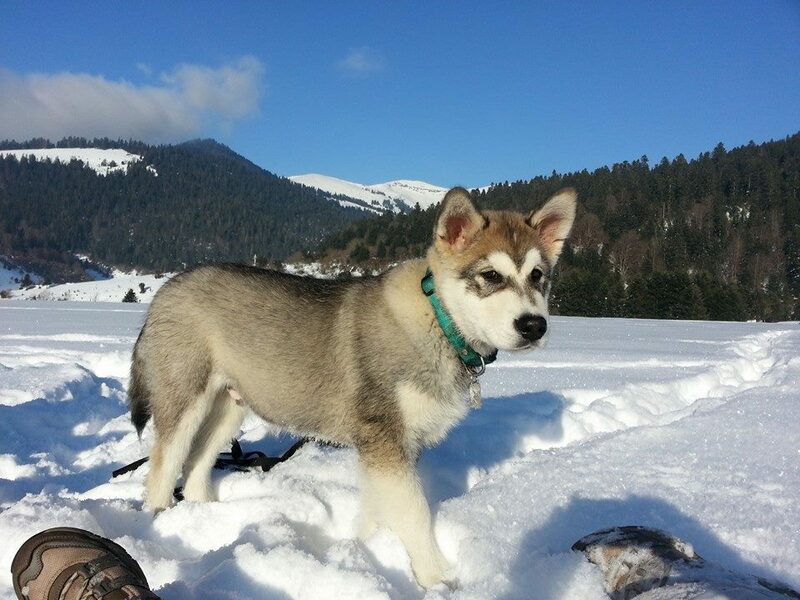 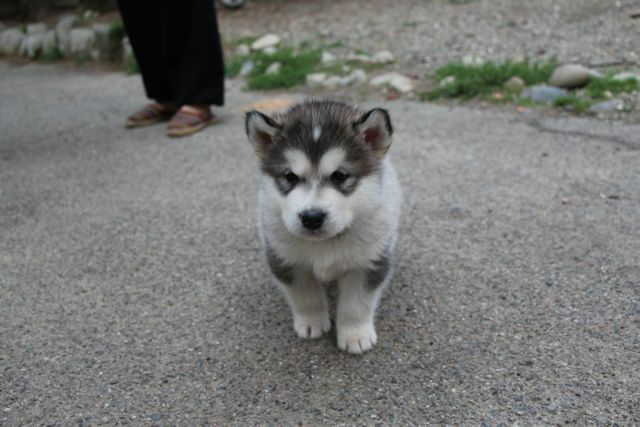 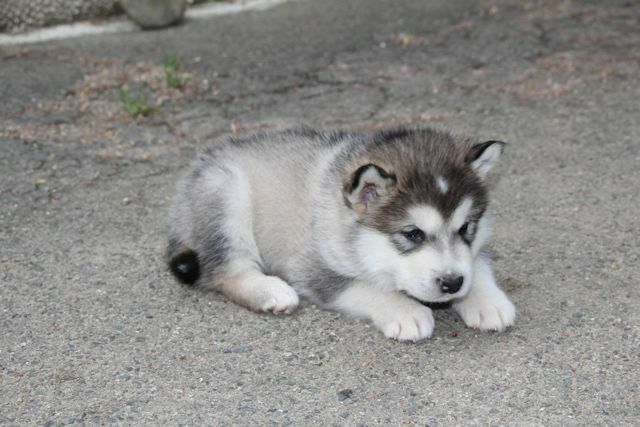 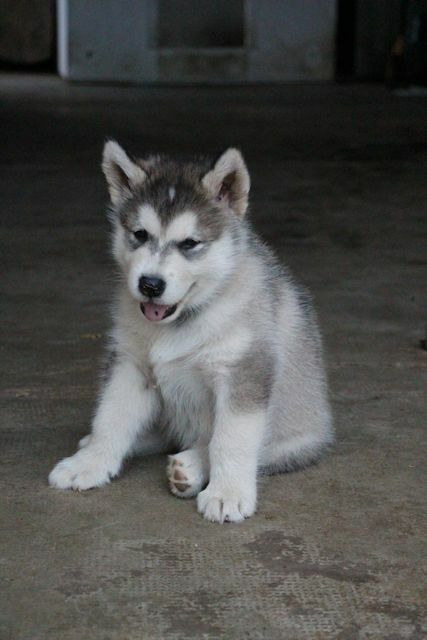 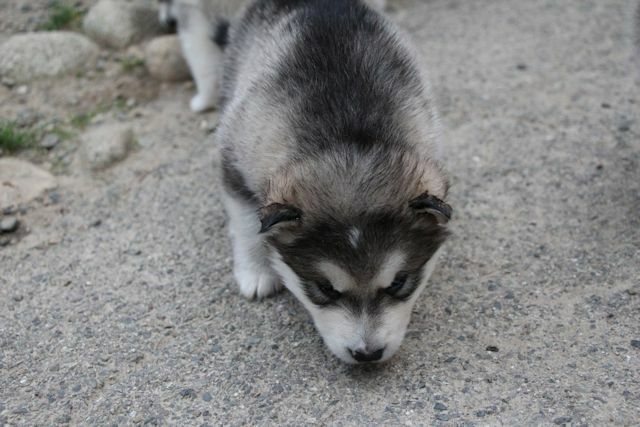 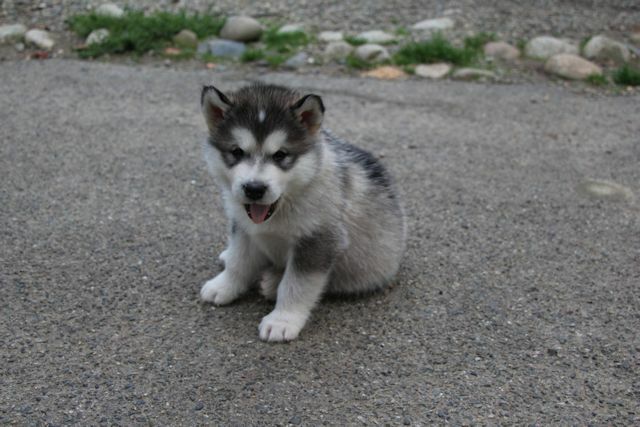 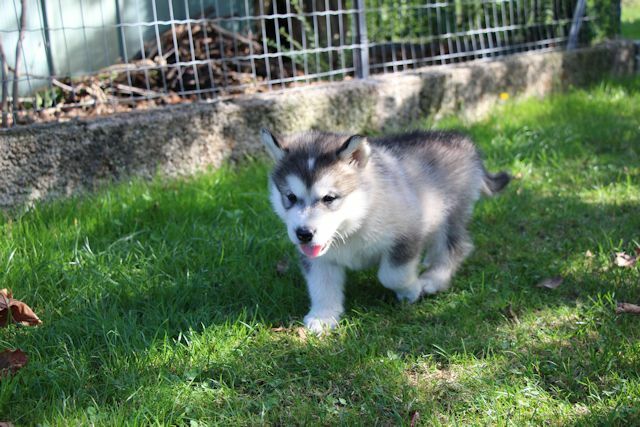 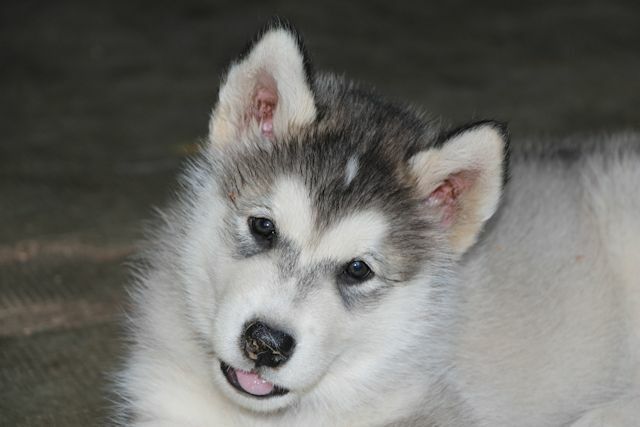 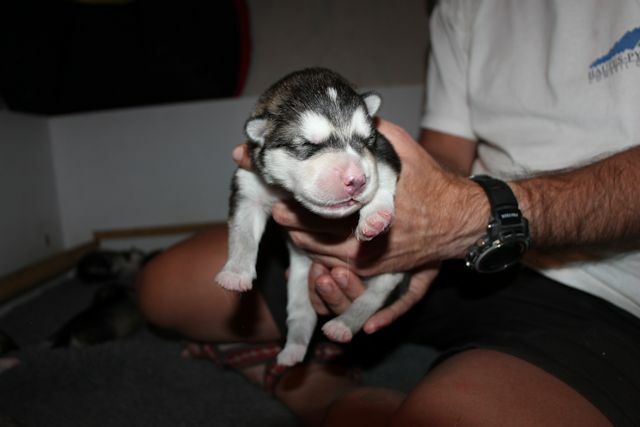 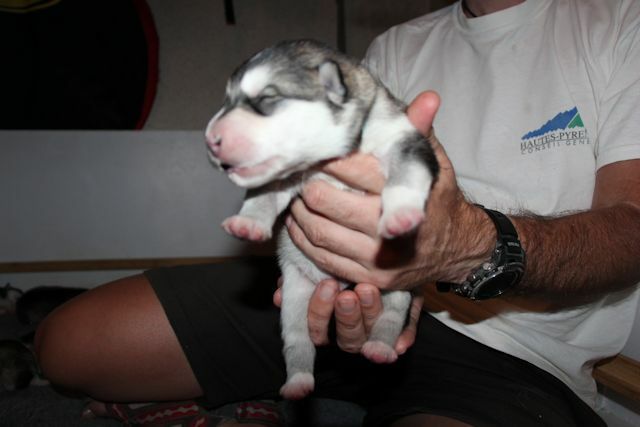 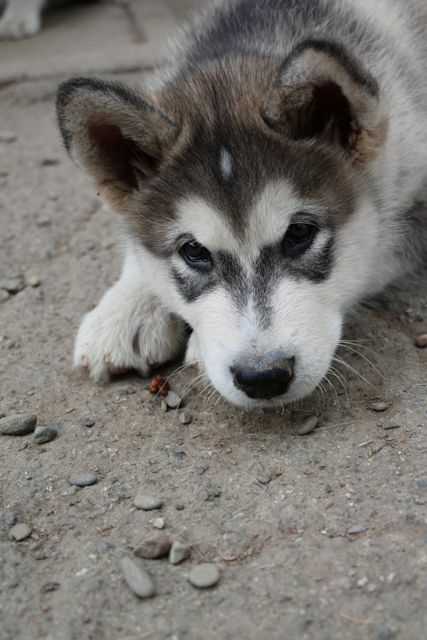 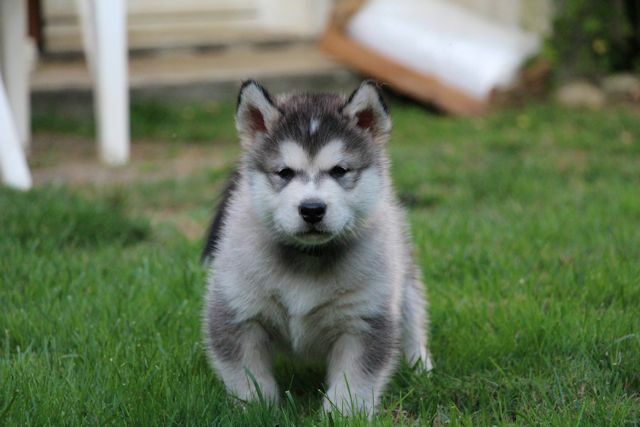 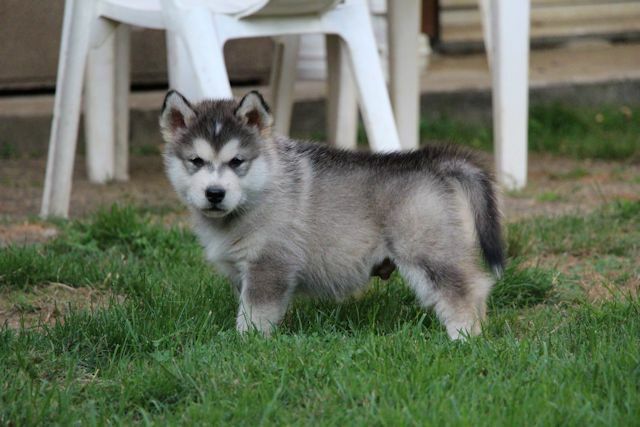 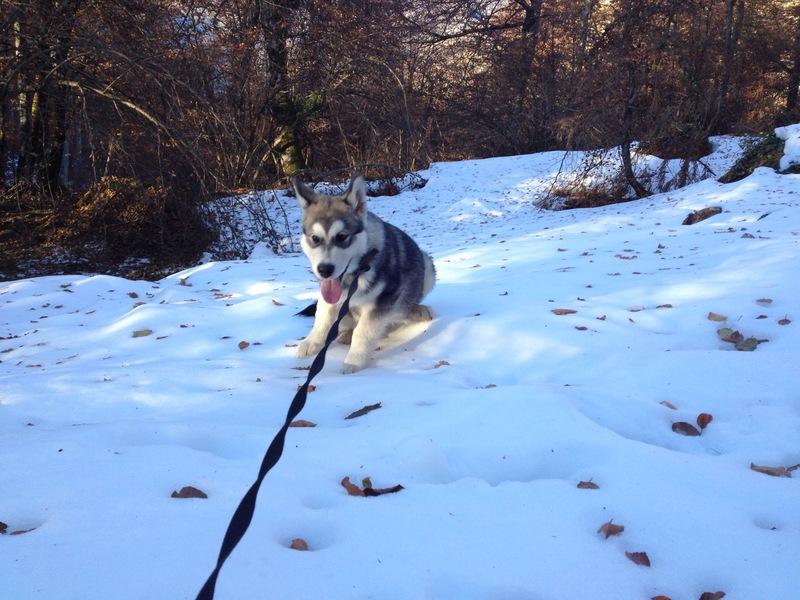 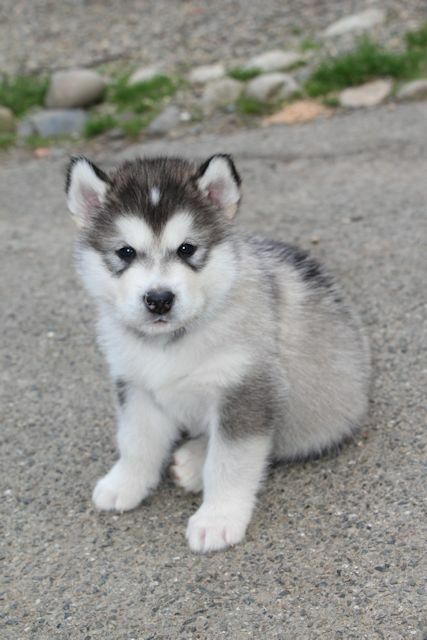 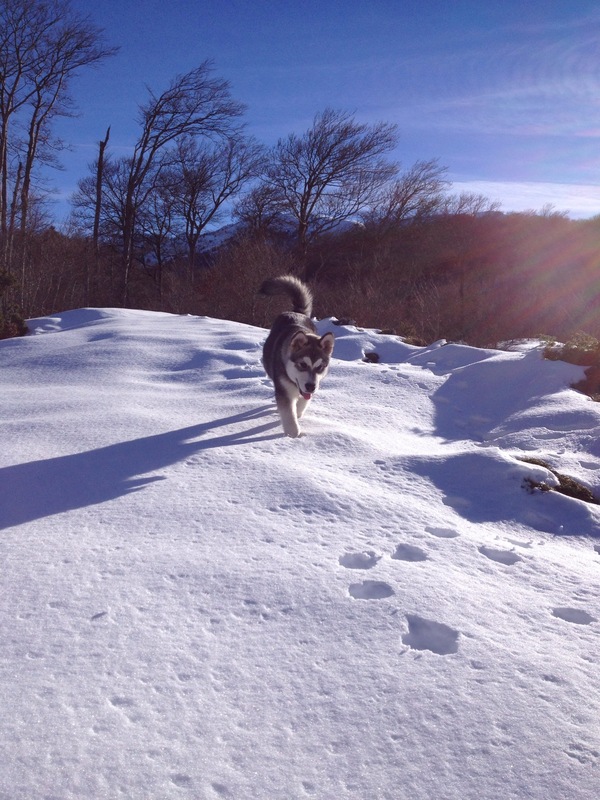 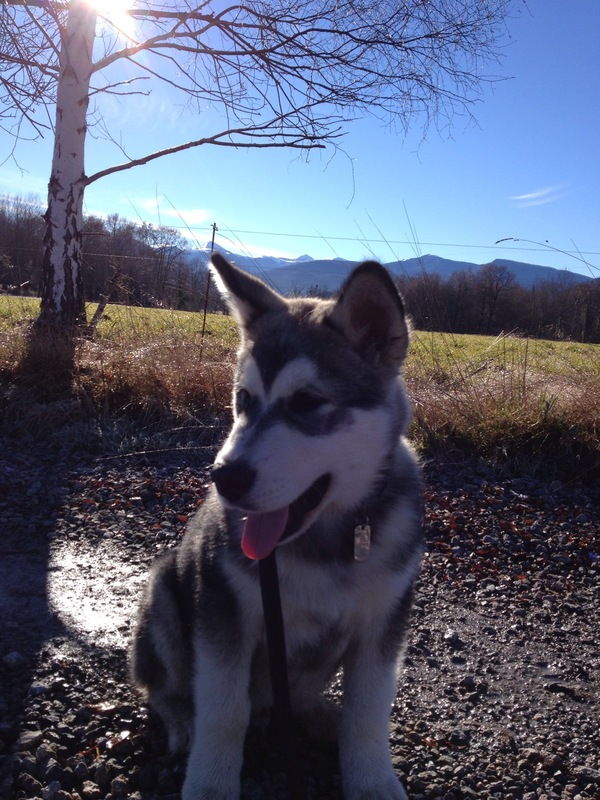 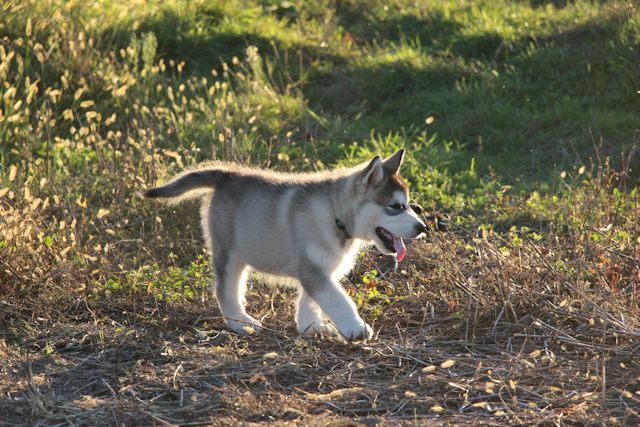 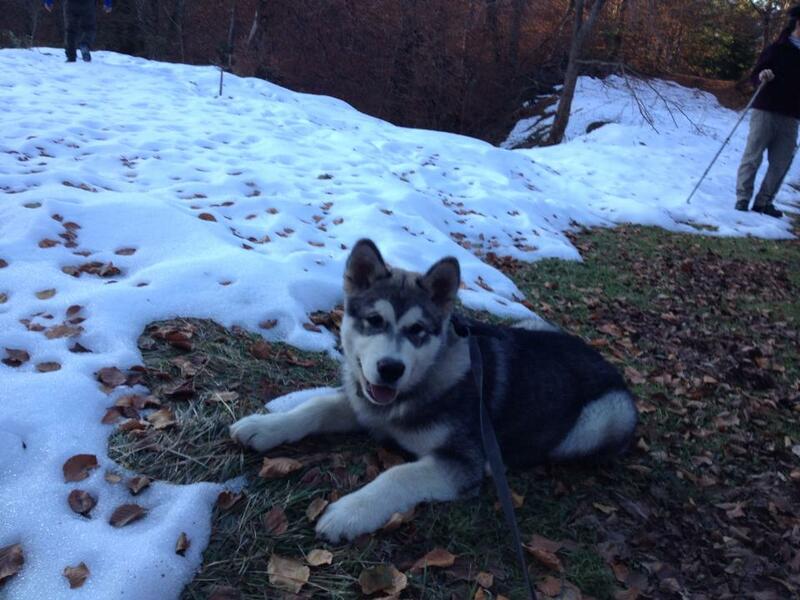 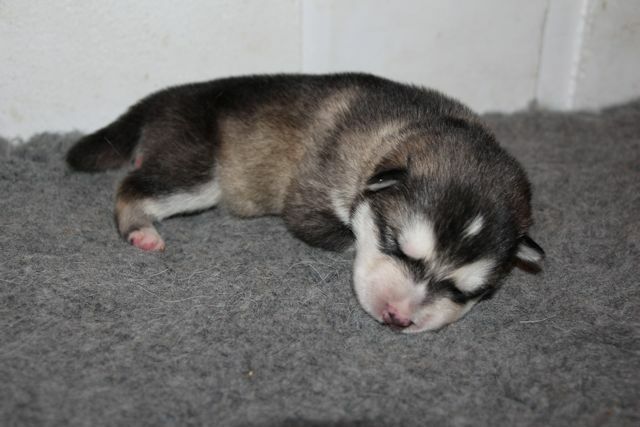 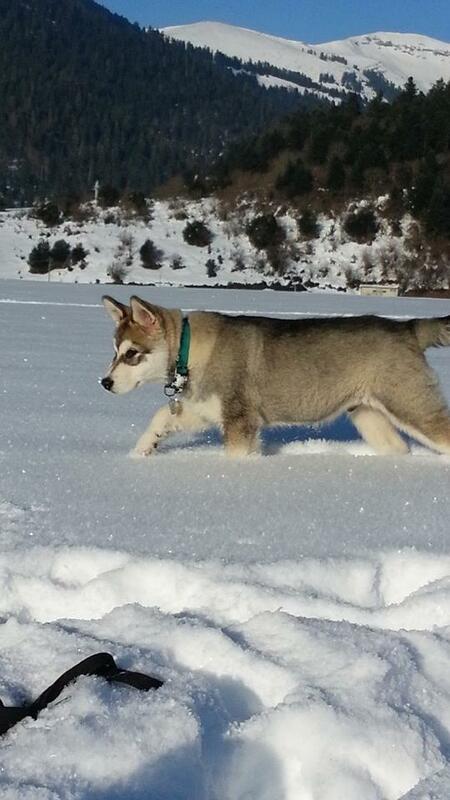 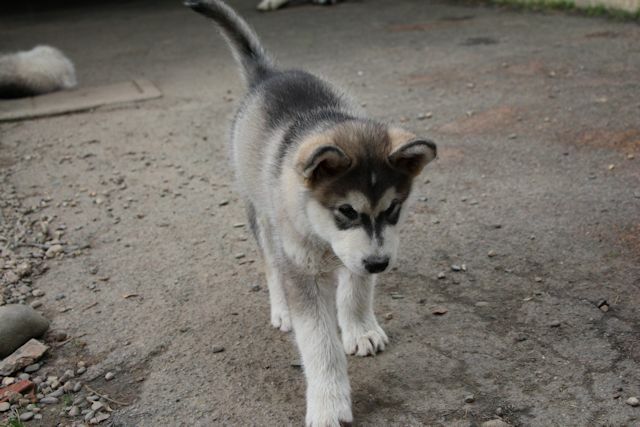 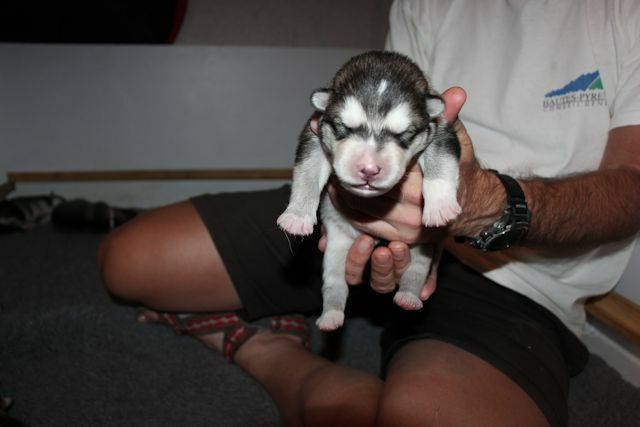 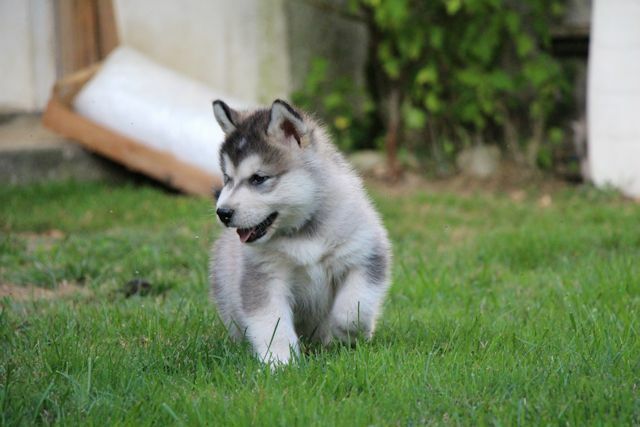 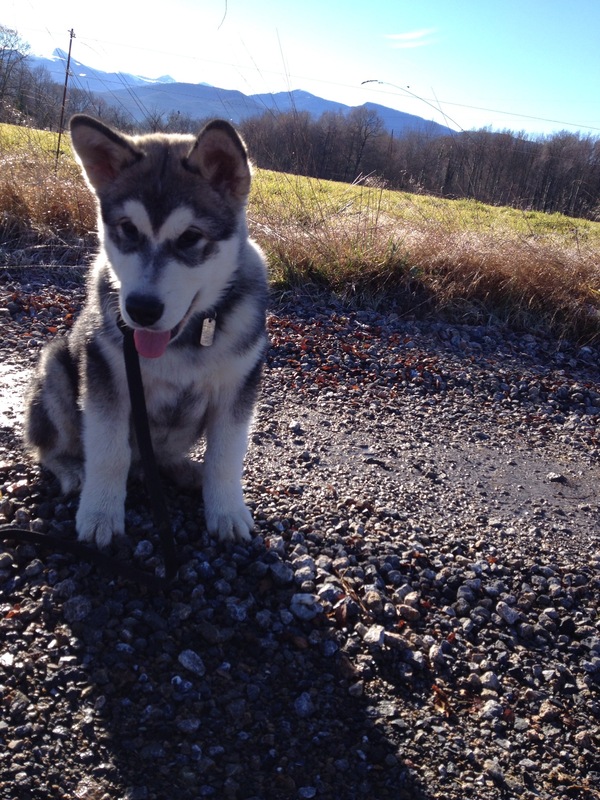 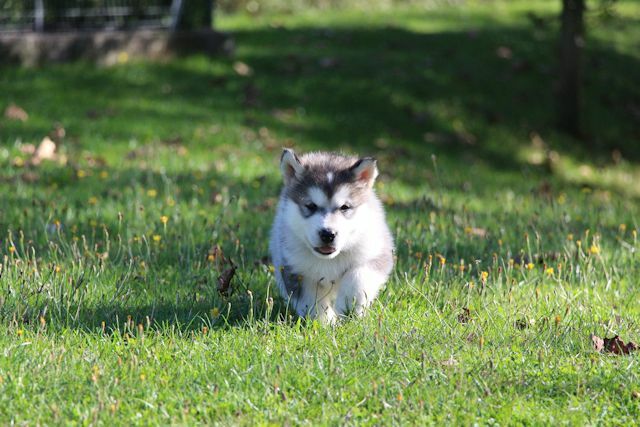 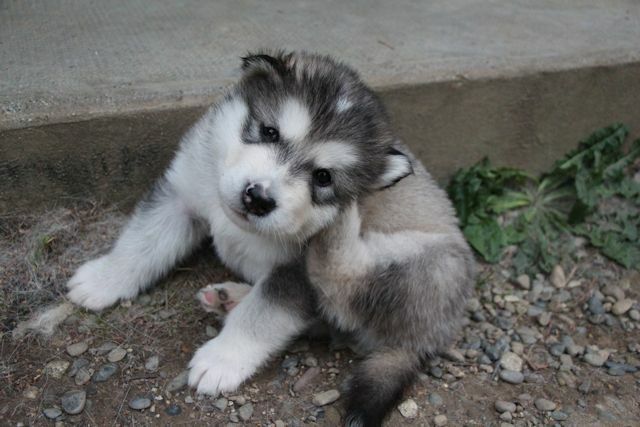 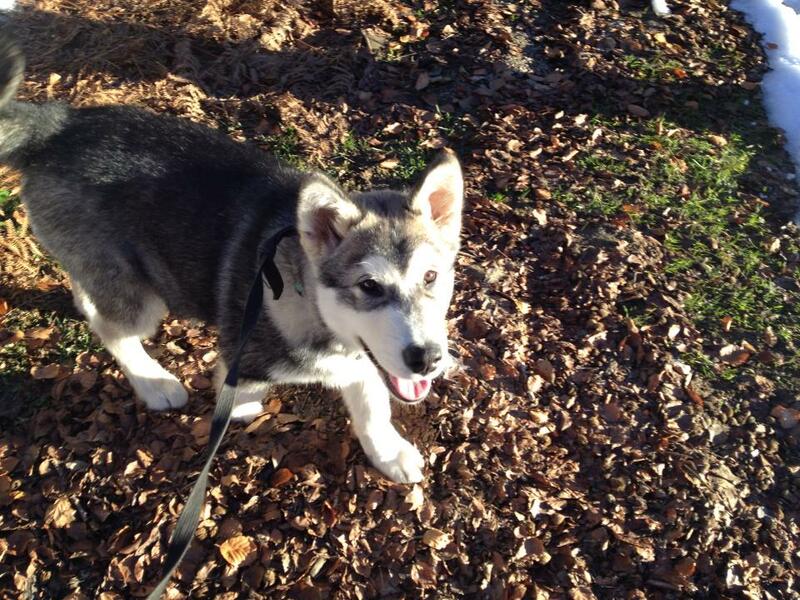 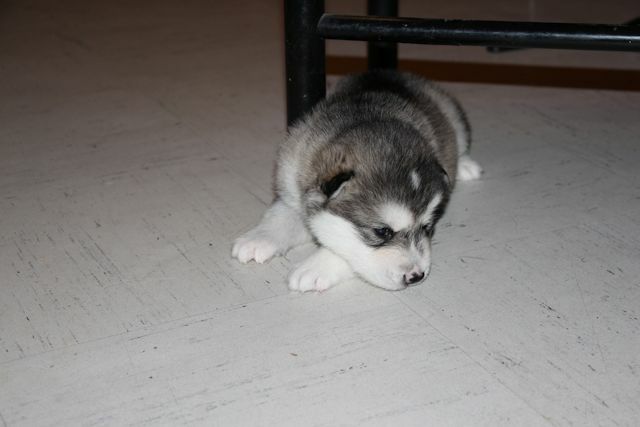 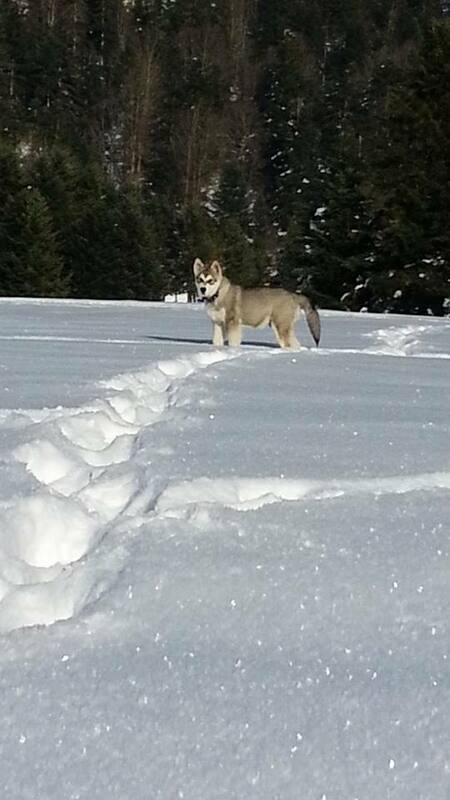 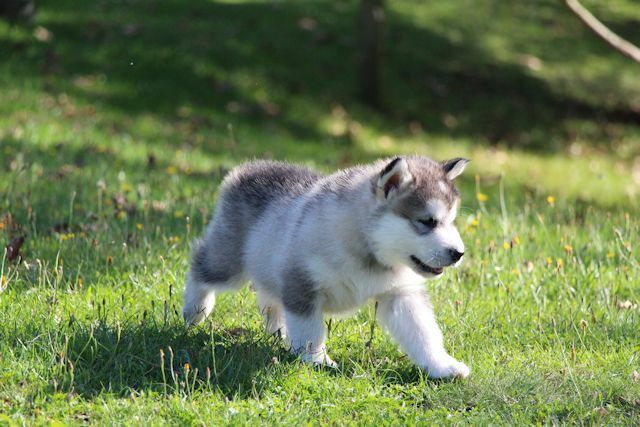 Iluak was a gray and white Malamute. 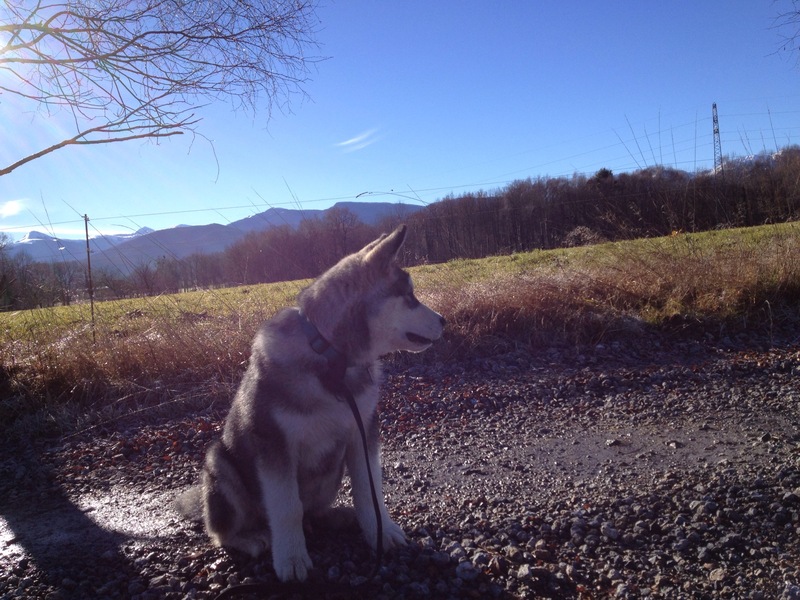 With a strong body, Iluak was also well quiet. 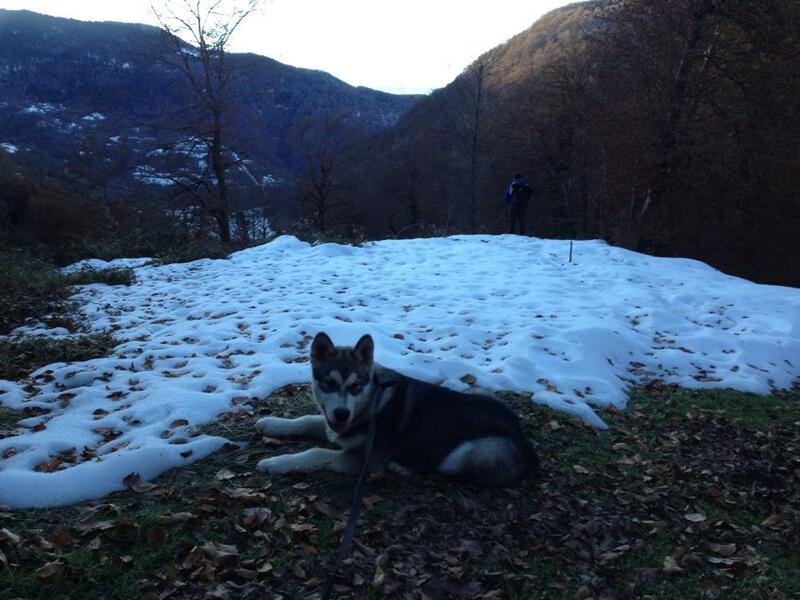 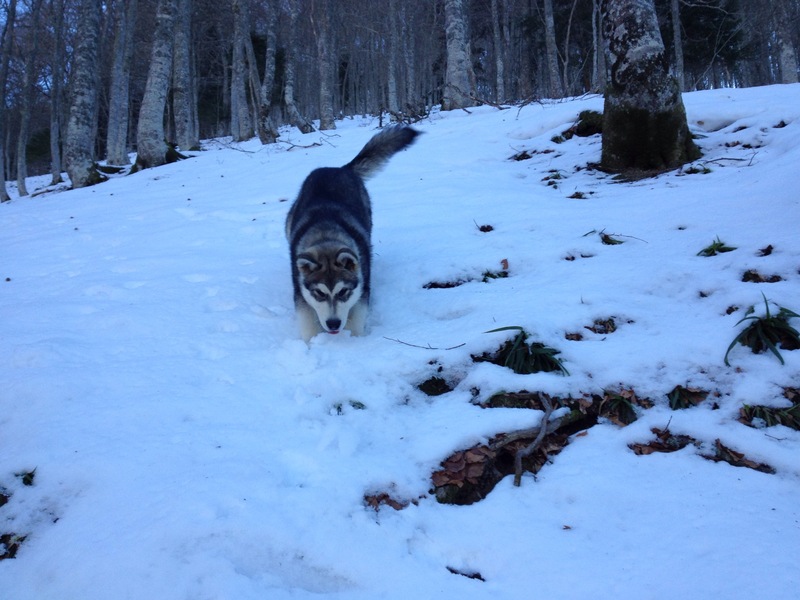 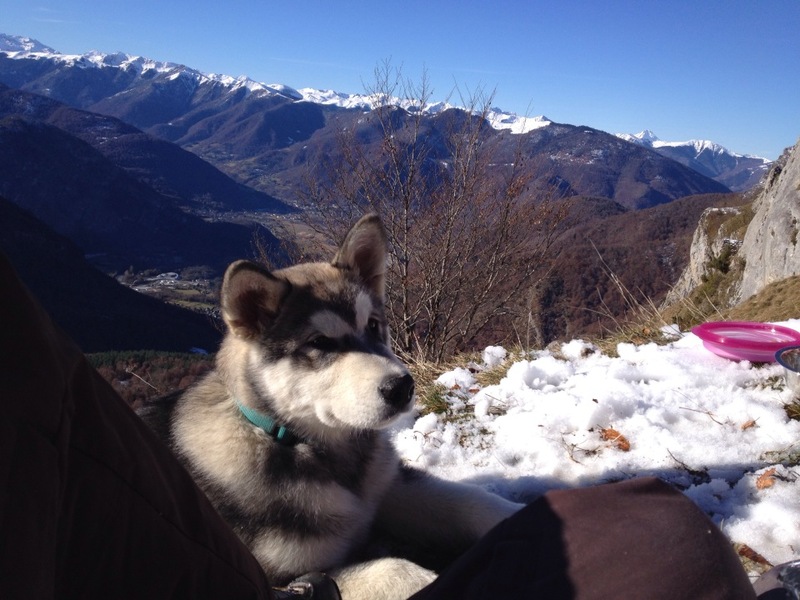 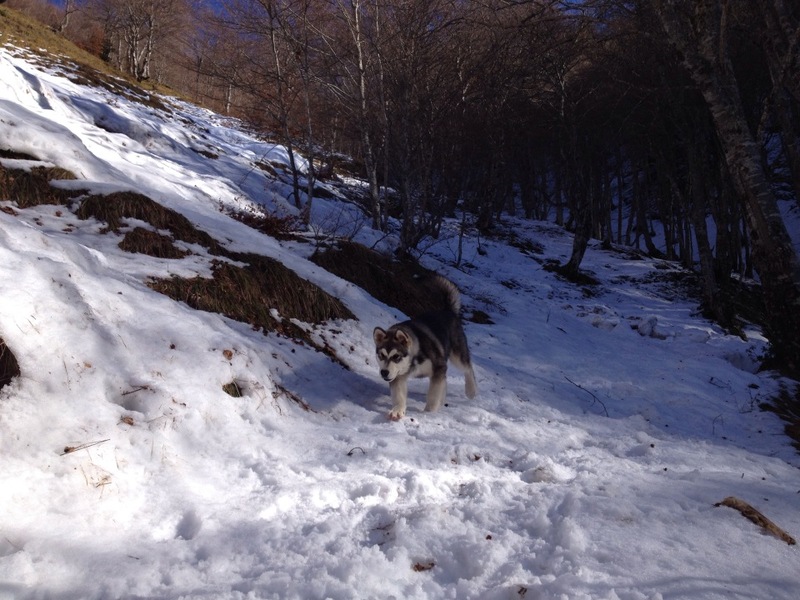 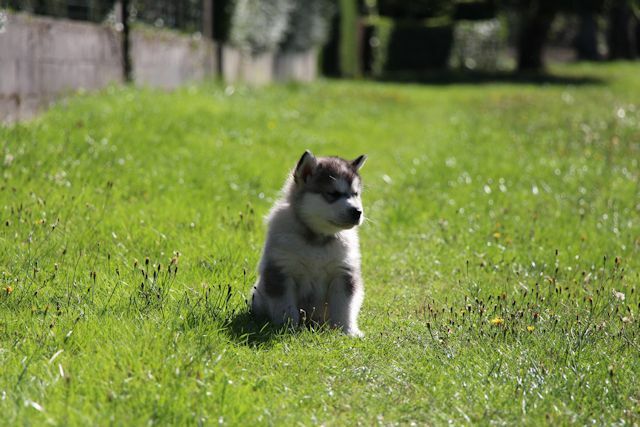 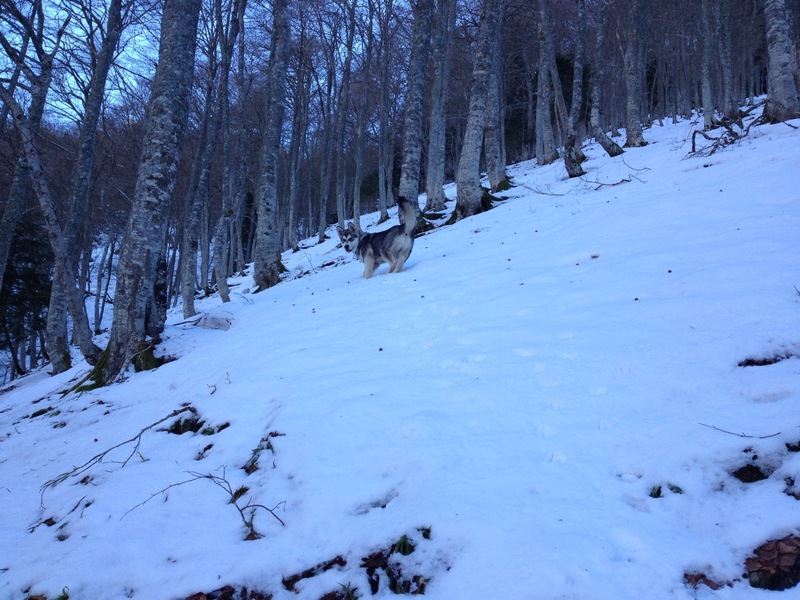 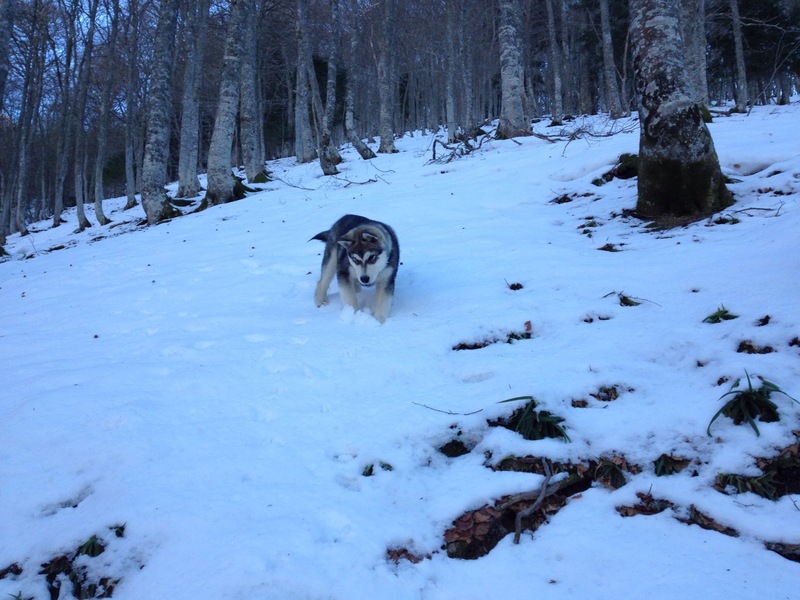 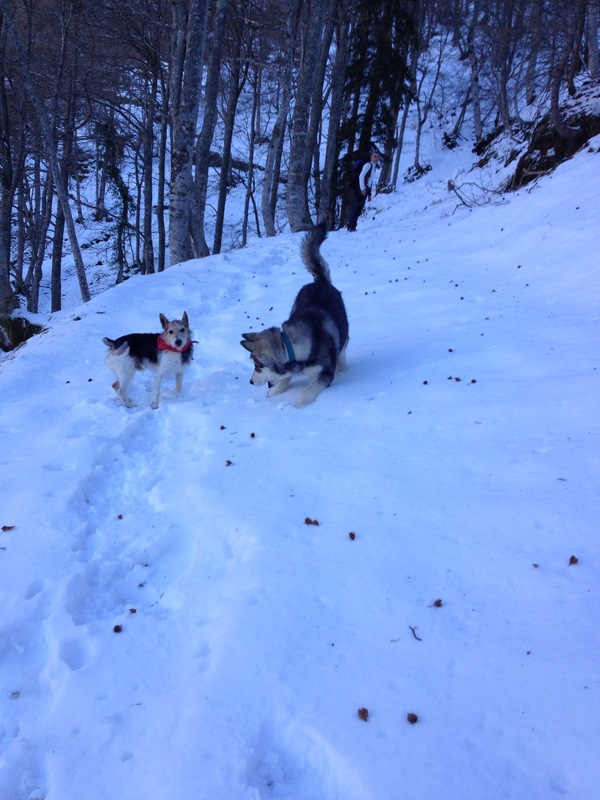 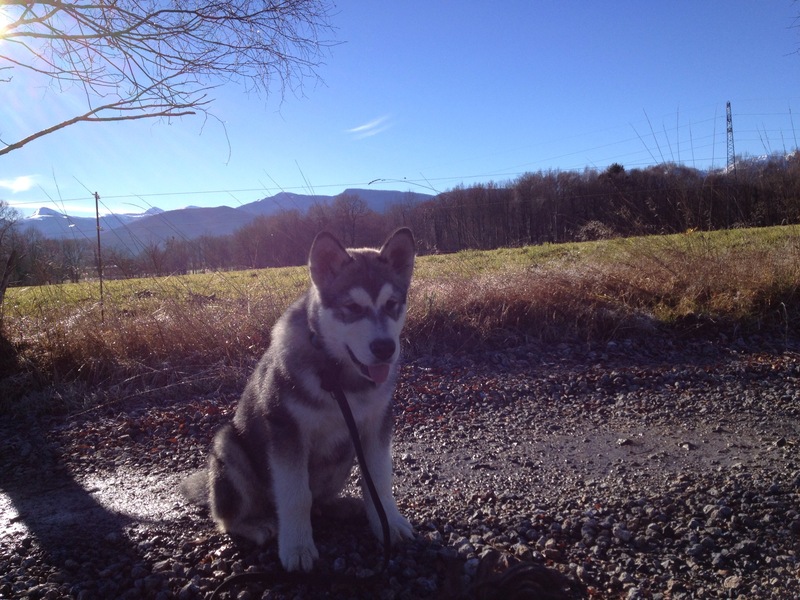 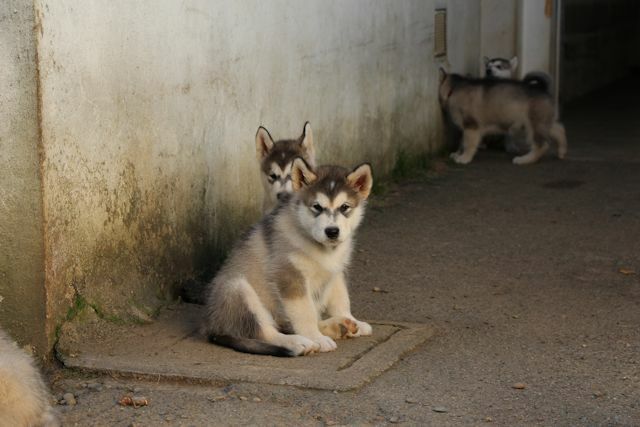 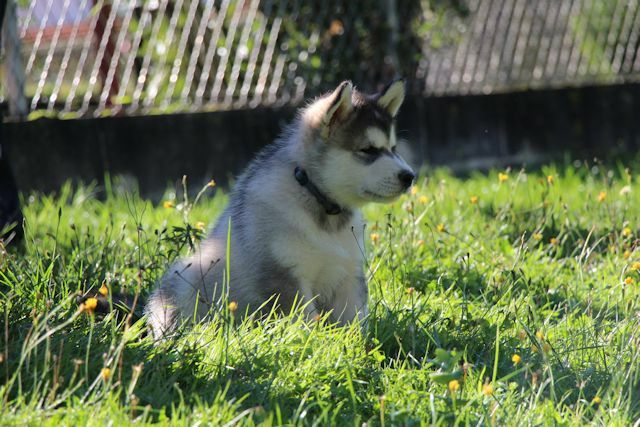 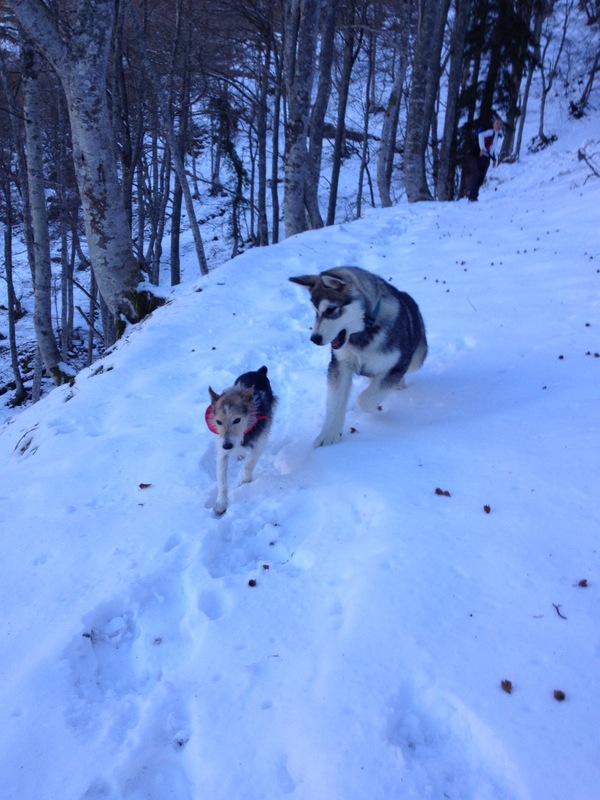 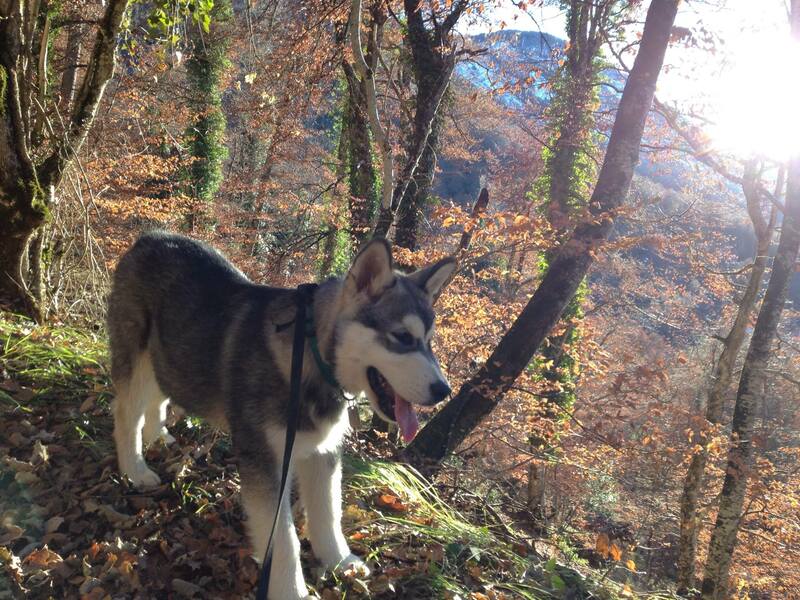 Now, Iluak lives with a couple near Lannemezan, France who had contacted us when we had the previous litter and who has waited one year before adopt one of our puppies.